Starting at 8pm on Wednesday, June 18 and ending at midnight on the night of Thursday, June 19, WKCR will be preempting all regular programming to honor the life and work of jazz pianist Horace Silver, who passed away this Wednesday, June 18 at the age of 85 years. Stay tuned also for weekend jazz programming, which will also focus on the work of Horace Silver. 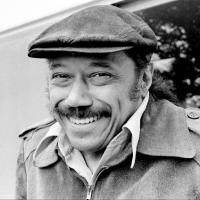 Born on September 2, 1928 in Norwalk Connecticut, Horace Silver is known as the foremost pioneer of the jazz genre of hard bop. Having been discovered in 1950 by saxophonist Stan Getz at the Sundown Club in Hartford, CT, Silver went on to play with such giants as Lester Young, Miles Davis, and Art Blakey, with whom he formed and co-led the group the Jazz Messengers. Silver’s work, as a performer and as a composer, has left a lasting influence on jazz music. Join us as we celebrate the career of pianist and composer Horace Silver.